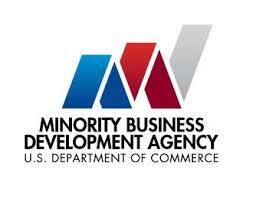 Extron Inc a leading high-tech manufacturer based in Milpitas, CA was today awarded Minority Manufacturer of the Year by the Minority Business Development Agency Business Center, a unit of the U.S. Department of Commerce. Extron has put significant effort into providing onshore manufacturing services that challenge the conventional wisdom that offshoring production is more attractive. A pioneer in realigning supply chains to return at least the latter portion of the chain to the U.S., or what the company calls Last Mile Manufacturing™, Extron is one of the early gamechangers that are reshaping the dynamics of contract manufacturing. Extron, Inc., is a leading high-tech manufacturer offering solutions designed to improve supply chain cost, flexibility and risk exposure. Extron’s 120,000 sq. ft., ISO 9001 facility is located in Milpitas, CA, producing product for Fortune 100 companies in aerospace, defense, technology, communications, medical, and automotive. Extron provides on-demand product configuration in close proximity to the distribution channels, helping its clients reduce manufacturing cost, maintain control of IP, respond faster, and reduce risk. Extron also provides returns management solutions, demo-loan product evaluation solutions, and retail fulfillment services. Visit extroninc.com.